VideoLAN has released the beta version of its media player VLC on Windows Store. Now, Windows 8 users won't need to leave the new Windows UI to use the player. One of the most popular media player, VLC, has been released on the Windows Store for Windows 8. The app is still in beta mode and can be downloaded for free. For now, certain bugs have been reported as the app has just made its debut on the new platform. After the bugs are hopefully fixed, we might see a stable official release soon. Compared to the desktop version of the app, there is a general lag while playing videos including some audio bugs as well. 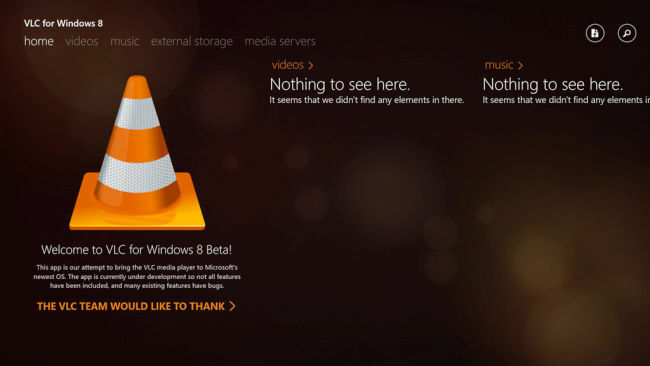 VideoLAN, the developer of VLC, has said that the new Windows 8 version is nearly as stable as it should be. The app features are the same as its original version. The app is capable of playing almost every video format and supports music playback apart from MKV support and FLAC support. It is also compatible with both x86 and x64 versions of Windows. work on Windows 8.0 and 8.1: too many people are still on 8.0, so we had to use that. This decreases the stability of the application though. VideoLAN's President Jean-Baptiste Kempf, has said that fixing bugs is the priority for his team right now. "After that, we need to rework the thumbnails management and a better integration with Windows; also, the app is too slow to start." he adds. 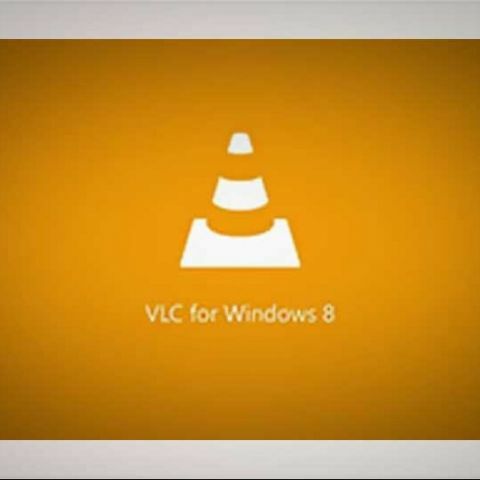 VLC for Windows 8 can be downloaded from here.